Pot roast has stubbornly remained the mainstay of Sunday dinners, thanks to the affordability of this inexpensive cut of beef and ease of preparation. Once you've seared the roast and placed it in the oven, you can pretty much forget about it until dinner time. Cattle are usually grass-fed in Peru. Although the meat is leaner, it has intense beef flavor and more Omega-3 fatty acids than corn-fed beef. What transforms this tough cut of meat into a tender, succulent main course? Pot roast is actually braised, not roasted. 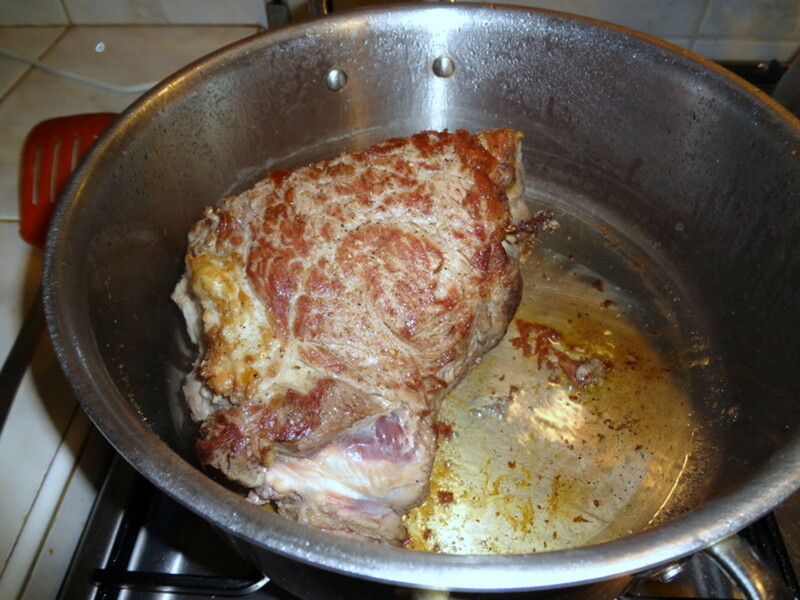 The meat is partially submerged in liquid, covered and cooked at a low temperature. This melts the collagen and transforms tough meat into juicy, flavorful pot roast we all know and love. You can't really overcook a pot roast. Allow plenty of cooking time so the roast literally falls apart. And if it finishes ahead of time, just reheat before serving. It's a foolproof dinner for your Sunday crowd! Cook's Illustrated recommends chuck roast for flavor and tenderness. 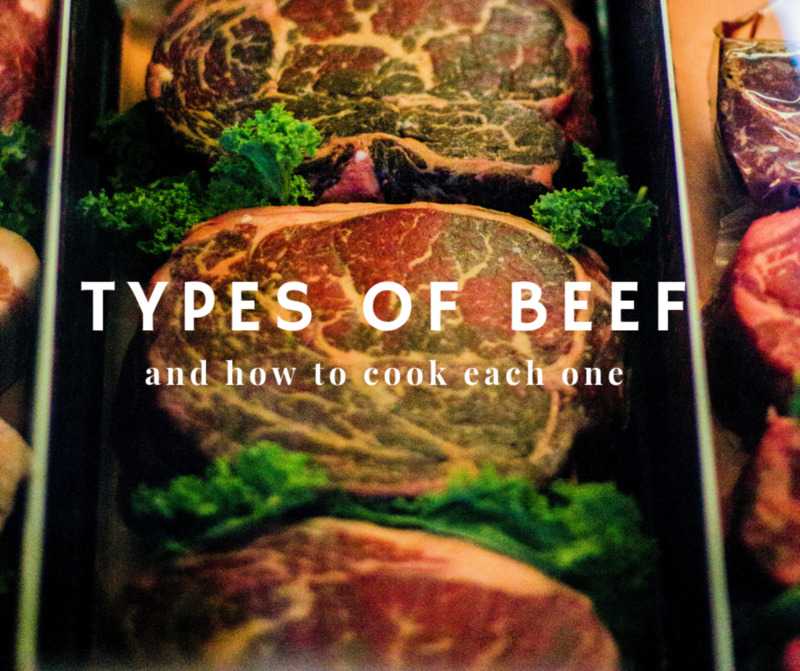 There are three types of chuck roast common in the United States. The seven-bone roast is marbled with fat and has an amazing beefy flavor. At only 2 inches thick, this roast requires less liquid and a shorter cooking time. Start checking for doneness after just 2 hours in the oven. Top-blade roasts are also marbled with fat, which equals a juicy chunk of meat with lots of flavor. 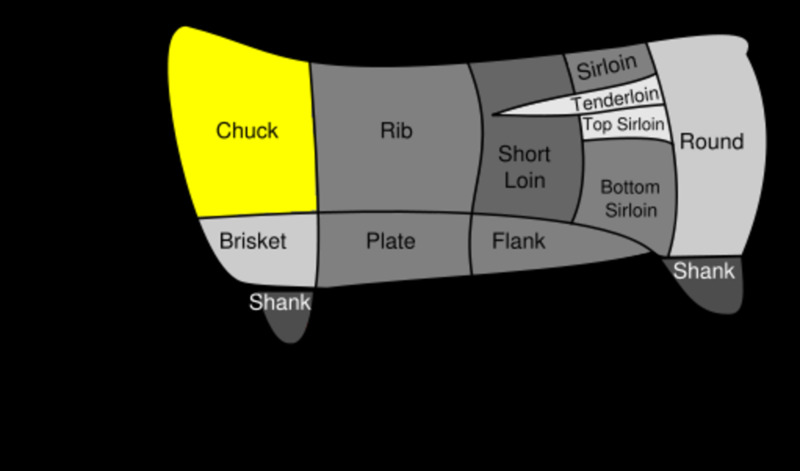 The chuck-eye roast, or chuck roast, is the fattiest and most common cut. The thickest roast, it requires the longest cooking time and yields a flavorful, tender piece of beef. It's worth the time and effort to sear the roast. 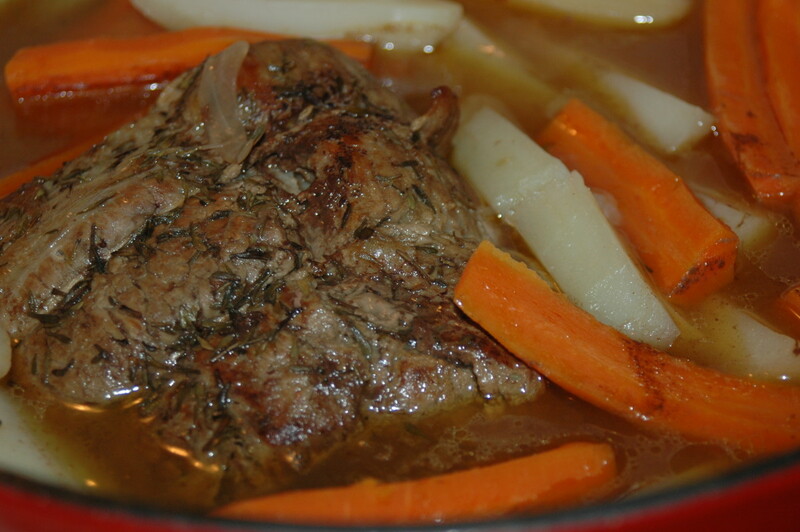 Searing seals in juices and guarantees a moist, tender pot roast. We prefer a dark beer such as Guinness for this recipe, but a light beer will also work well. If you'd like to skip the beer, substitute 1 cup of chicken broth and 1 cup of beef broth. For a gourmet-style roast, substitute 1 1/2 cup red wine for the beer. The steak seasoning and cumin enhances beefy roast flavor while fresh rosemary and coriander adds brightness to the sauce. This roast is delicious served with a side of creamy mashed potatoes. Preheat oven to 300 Fahrenheit (149 Celsius). Rinse roast and pat it dry. Allow to return to room temperature, about 30 minutes. Heat oil in a dutch oven or other ovenproof pot, over high heat until it's hot enough to "ripple". Carefully place beef in the pan. Sear beef thoroughly on all sides, 3-4 minutes, until a nice brown crust has formed. Remove beef to a plate and allow to rest. 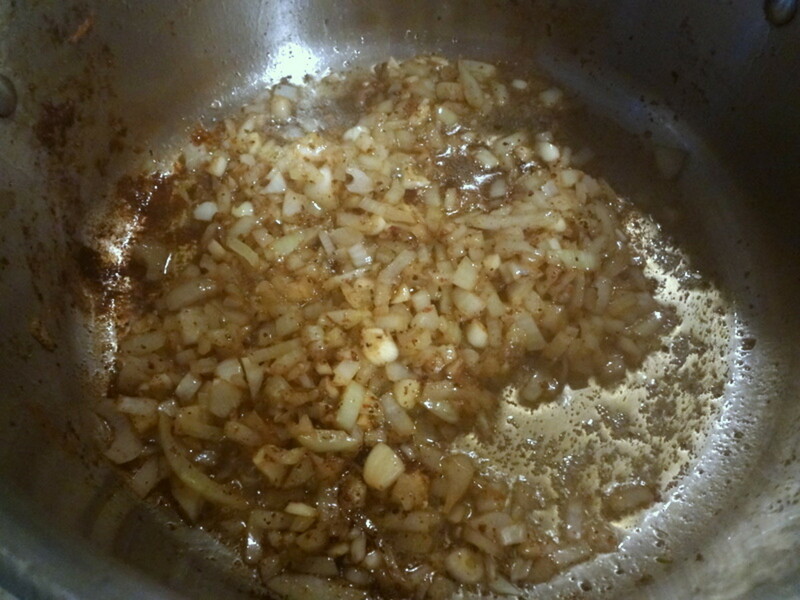 Add a little more oil to the pot, if necessary, and saute onion, garlic and celery several minutes or until translucent and soft. Pour beer into pot and deglaze, scraping up the bits that have stuck to the bottom. Place beef back in the pot with vegetables. Sprinkle seasoning salt and pepper over beef. Add other spices, carrots and tomatoes to the pot. Add enough water so it comes halfway up the roast. Cover pot with aluminum foil so steam can't escape then cover with lid. Place pot in preheated oven. Cook for 3-4 hours, turning roast halfway through cooking time. Roast is done when fork tender. Transfer roast to a plate and tent with foil. Skim fat from cooking liquid. Puree liquid in a blender, food processor or with an immersion blender. Measure and add water to equal 1 1/2 cups of liquid and return to pot. Taste and adjust seasonings. On high heat, bring liquid to a simmer. Blend cornstarch and water with a fork to make a slurry. Slowly drizzle into liquid, whisking all the time, until thickened. Cut or pull apart the meat. Serve on platter with sauce on the side. This roast is best served with mashed potatoes. Enjoy! 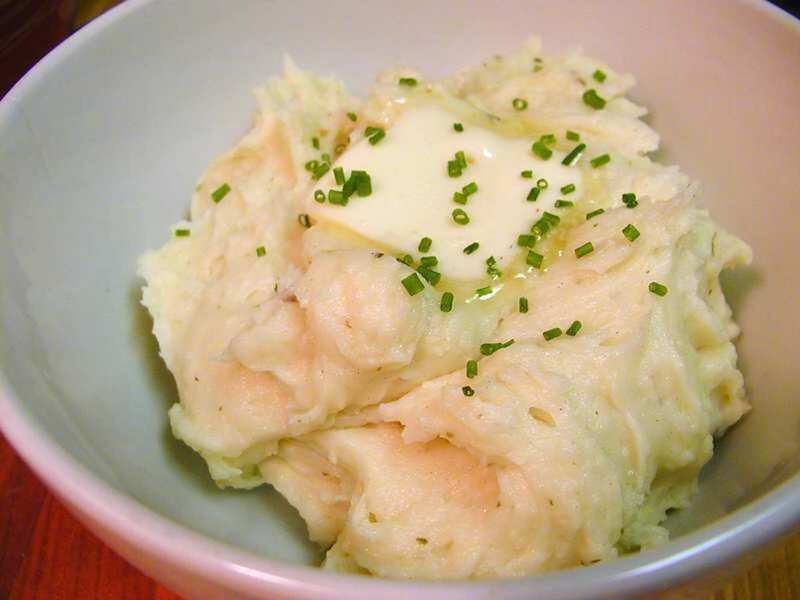 For a complete one-pot meal, add waxy potatoes such as Yukon Gold (peeled or unpeeled) or new potatoes. Parsnips are another delicious root vegetable that add pizzaz to this dish. Peel and drop them into the pot alongside the potatoes an hour before the pot roast is done. Toast thick slices of bread and spread with warmed mashed potatoes and shredded roast. Drizzle with sauce for a hearty open-faced sandwich. Carmelize onion slices in a little olive oil and salt over low heat. Toast bread and serve beef sandwiches with carmelized onions and horseradish mayonnaise. Make a batch of beef gravy. Add chunks of leftover pot roast and serve over noodles for a quick beef stroganoff. Heat 2 tablespoons of vegetable oil over high heat. Add two cups of shredded pot roast and 2 teaspoons of taco seasoning. Fry until beef is heated through. Serve with taco shells, lettuce, tomato and homemade salsa for quick weekday tacos. Chop pot roast into chunks and serve with beans and rice. Top with fresh pico de gallo for South-of-the-border flavor. Simmer shredded pot roast in BBQ sauce. Serve on toasted onion buns with potato salad or coleslaw on the side. Au fait, you do have the perfect weather to enjoy pot roast. Thanks for your comment. This looks so delicious! Just right for the weather we're having here in Texas -- unseasonably chilly. The perfect comfort meal. Thanks for the pin DeborahNeyens! This hub showed up in my feed and I had to visit again because the food looks so delicious! I'm pinning this one. This looks very appetizing to me! I think it's very tasty! Very good point, WillStarr, I appreciate it! If time is limited, you can also cut the roast into 1 inch cubes before browning. The cooking time is then much faster. Lifefusion, I'm glad you enjoyed this oven-baked pot roast. Thank you for leaving your review! Have a great day. Tried it last night. It turned out great and my wife loved it. Thanks again. Lifefusion, I look forward to your feedback. Thanks for coming by and have a great week. I plan to try this out in the next week or so. Thanks for the recipe. I will will let you know how it turns out soon. Have a great day. Au fait, I wish I could send over some pot roast! It's a great wintertime comfort meal. I hope you can get something healthy and warm soon. : ) I appreciate the votes! This meal looks so delicious! I love pot roast and mashed potatoes and cabbage, etc. So yummy, and it's lunch time here right now and I didn't have any breakfast. All I had was a frozen burger that I nuked a few minutes ago. Would love a meal like this instead. Voting you up and awesome! WiccanSage, I'm glad you like the recipe. Pot roast is great because you can do other things while it cooks and the leftovers are so versatile, too. Thanks for coming by! Hi! Hope you don't mind, but I thought your recipe looked great and I recommended it with a link to here on one of my hubs (Wiccan Wheel of the Year: Imbolc Recipes and Ideas for the Sabbat Feast). If you have any objections let me know, but it was just perfect for the occasion. Thanks! It has been a while since we have had a good pot roast. After reading this, you can be sure that we will be doing it soon. I love all of the vegetables done in the same pot as they not only add good flavor but take on such rich flavors of their own. What my mother used to do with leftover pot roast was to put the remaining beef, potatoes, onion, carrots, etc. through her meat grinder and make a hash. I loved that! Your suggestions for the leftovers also sound good. Gave this another 5 stars plus up and useful votes. Tweeting. 2patricias, I'm glad you found another one to add to your HP Recipe index! This really is delicious. It's hard to beat pot roast for convenience and comfort. : ) Thank you for leaving a comment. Leftovers??? This looks so yummy I cannot imagine there would be any leftovers. MissyMac, glad you agree about the braising. 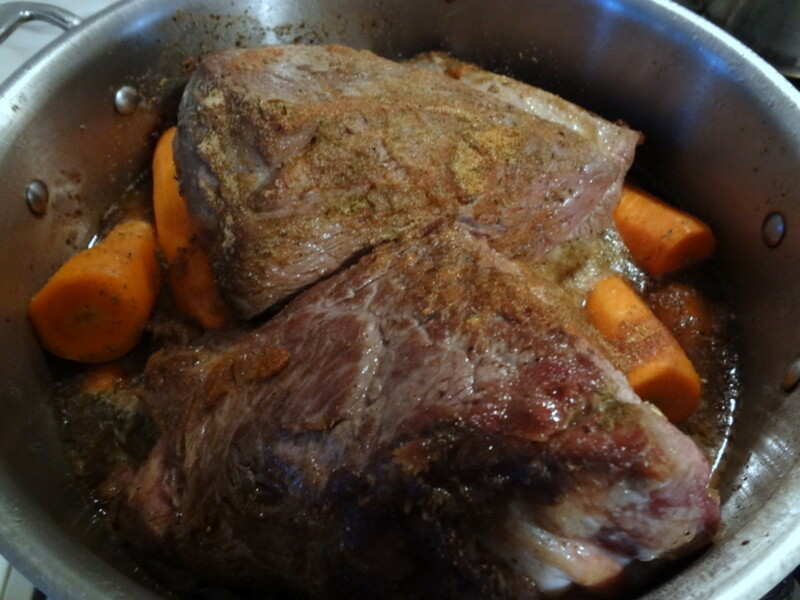 Pot roast is a great comfort food and so easy to prepare. Thank you for taking the time to read and comment. Its been a while since I have made pot roast. You're correct, just braise it and put into the stove. Your plate looks good. Great article. And it would be so delicious with your French beef, Letitialicious! What I like about pot roast is that it doesn't take much effort and you can make several meals from it. I looked at your photo and started to salivate, then looked at the clock. Dinner time over here! Wish I had time left to cook this. KoffeeKlatch Gals, I'm glad you love the recipe! 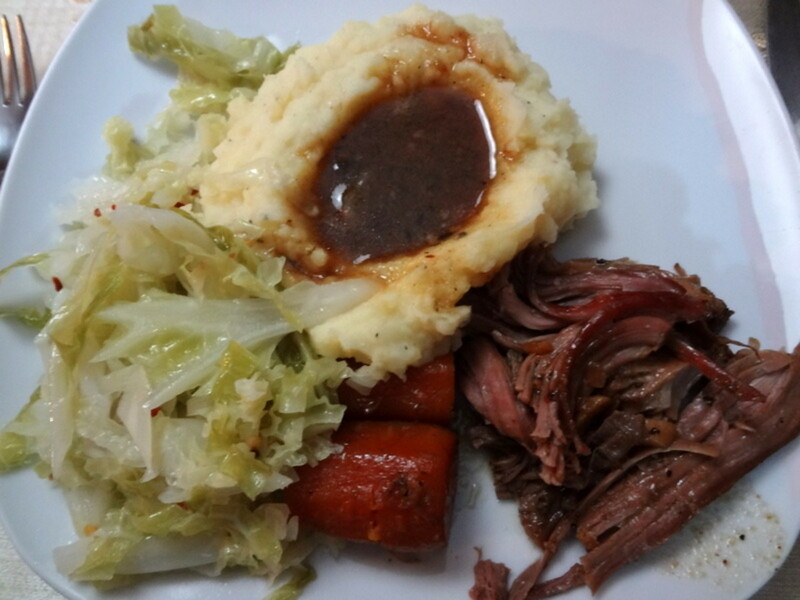 Pot roast is so comforting, and especially ideal for upcoming cold weather. Thanks so much for paying me a visit! Oh my goodness you have made me hungry. I love your recipe. Up, useful, awesome, and interesting. IndieJoe, thanks so much for the feedback! I always enjoy hearing your perceptions on the recipes. Did you try the chuck roast? The cut really makes a difference in the outcome. Thank you for coming by! We just made this meal for my wife's parents and it's a hit! Thankfully, there is just enough left over to try the beef stroganoff recommendation. Thanks Vespa!! CyberShelley, I'm glad you clipped the recipe. Enjoy! Pot roast fills the house with a comforting and welcoming fragrance, as well. Thanks so much for the vote and share! 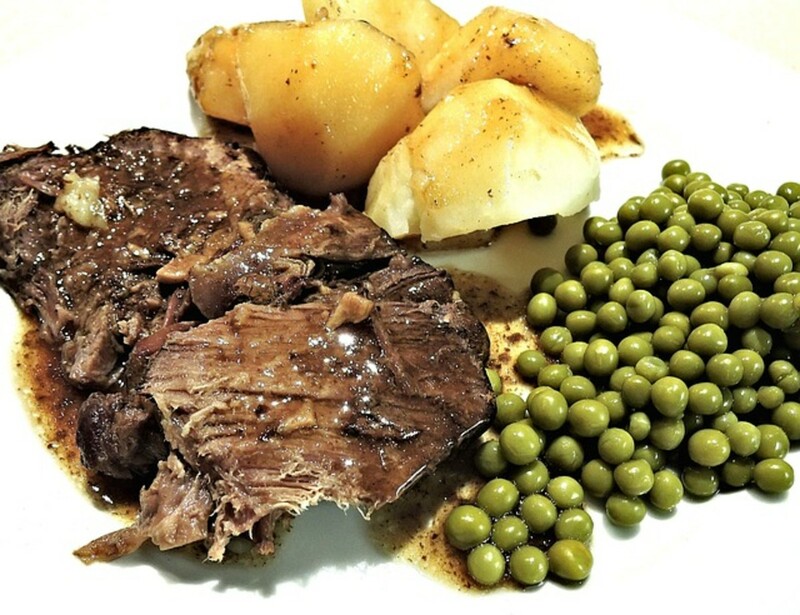 Pot roast is the ultimate comfort food, and this particular recipe as well as the one for the mashed potato is going in my recipe book. Thank you, voted up, interesting and useful. Rjsadowski, it's nice to hear from you again! Thank you for coming by. Awesome recipe with great pictures. DeborahNeyens, I'm so glad you're enjoying locally raised, grass-fed beef! I agree the flavor is unrivaled, and it's so healthy too. What a great deal to have a brother-in-law in the business. We're from the Midwest and I've noticed there's more emphasis on locally grown, naturally raised foods...the way our grandparents lived. Thanks so much for taking the time to read and comment! 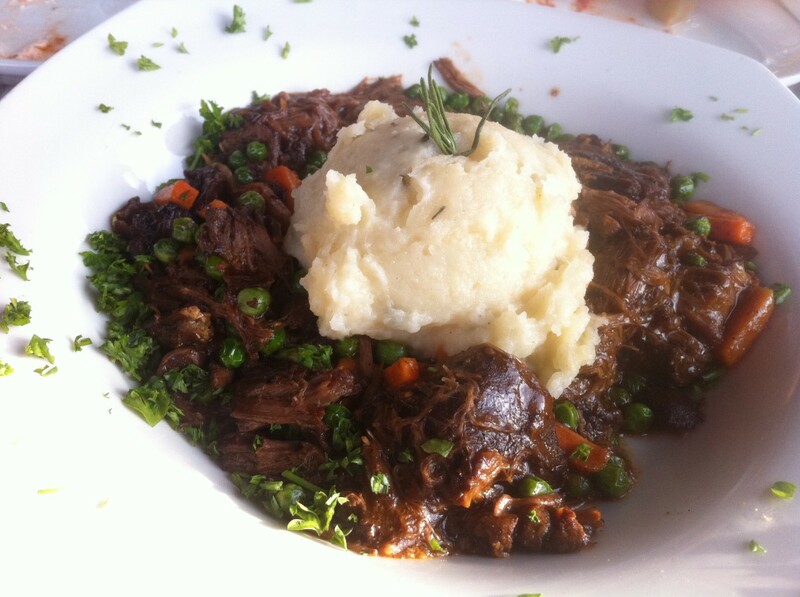 Pot roast always has been one of my favorite dishes and the pictures of yours are making my mouth water! I want to comment on the grass-fed beef because I've been buying a lot of locally raised beef that is primarily grass fed (and then perhaps finished with a little grain) and it is true that nothing beats the flavor. My brother-in-law just had one of his grass-fed steers butchered and we had some of the hamburger last night for dinner. The flavor was incredible! PegCole17, it will soon be pot roast weather! Of course, it's a nice meal anytime of year. Enjoy and thanks for taking the time to read and comment! This is making me very hungry. I'm off to the store after reading your wonderful and beautiful hub. GDRshop, thanks so much for coming by! HouseBuyersUS, thank you for coming by! Sherry Hewins, you're so right! It makes the house smell so wonderful on a cold day, too. Thank you for your comment. Mvillecat, it's so nice you have a source for grass-fed beef. It's healthier and tastier, too. Thanks for the vote and comment! ConservativeLady, it's one of my hubby's favorites as well! Thanks so much for the comment and vote. Moonlake, I didn't learn until recently how important it is to sear. It's worth the patience when it comes to this pot roast, anyway! Thanks so much for coming by. Pot roast is real comfort food. Thanks for sharing your special recipe. I have a roast in the slow cooking right now! We buy from an organic grass-fed rancher. Voted up. 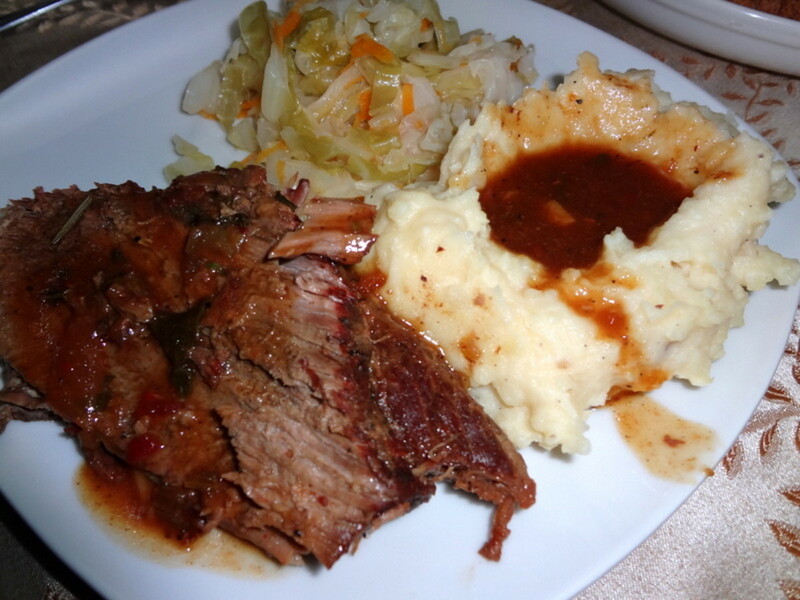 Pot Roast and mashed potatoes with gravy - the absolute best way to my hubby's heart - can't wait to try your version - it looks absolutely delicious! Voted Up, Beautiful, and useful! 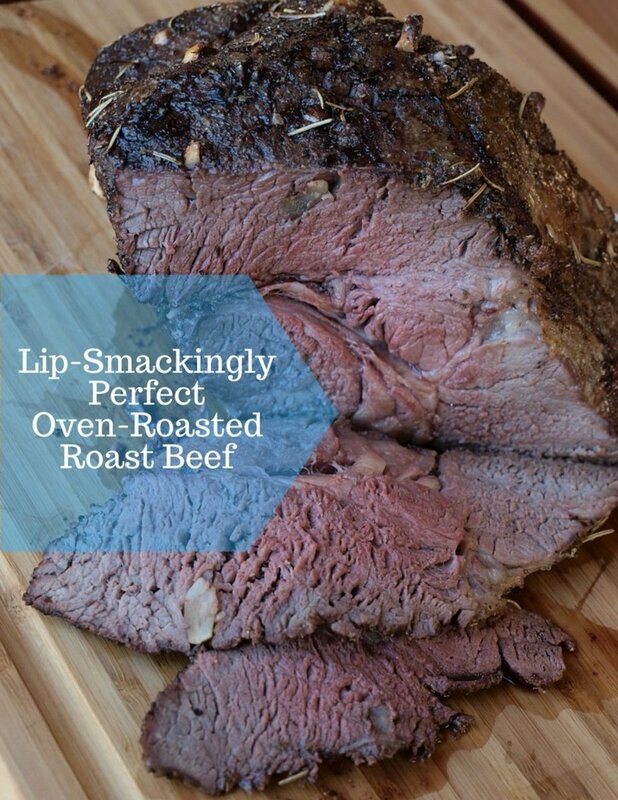 This looks great my mom and grandma always seared their roast before baking. Voted up and share. Yes, you're right ChristyWrites. The tomatoes very nicely complement the beef sauce. Thanks for taking the time to read and comment! I would not have thought to add tomatoes to the pot. They would compliment the beef nicely. Thanks for the tip to use! It's one of my husband's favorite dishes as well. We use lots of garlic in our household, both for the flavor and the health benefits. I'm glad you found this useful. It's nice to hear from you, alocsin! One of my favorite dishes, especially with all the garlic. But I never thought to cook it with beer before. Voting this Up and Useful. 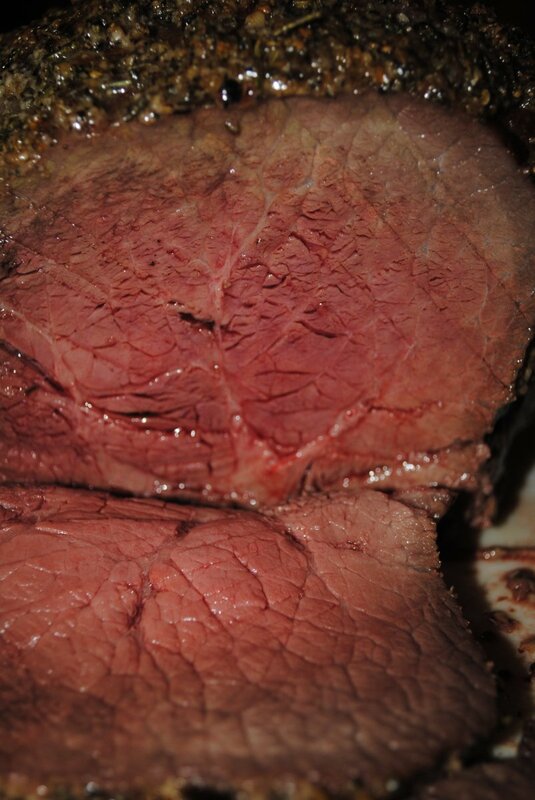 GlimmerTwinFan, enjoy the pot roast! Using a chuck roast really makes the difference, and the spices are right on. Thanks so much for taking the time to come by. This will probably be our Sunday dinner tomorrow. Looks delicious. Yes, I envy your healthy childhood! The way we eat as we're growing up really does influence what we eat as adults. Now you can pass that on to your children. Thanks for the chat, Mama Kim 8! Mhatter99, I know what you mean! Pot roast is the ultimate comfort food. It's always nice to hear from you! Thanks for dropping by. Oh no, I'm very grateful to my mom raising me without red meat or a lot of preservative filled foods. I believe I'm healthier for it and I have a great love and craving for natural foods. The beef you describe in Peru sounds very nice. It's great to hear from you, Mama Kim 8! It's not such a bad thing to grow up without beef, but I'm sure an organic pot roast now and then wouldn't do any harm. : ) We have the advantage in Peru of beef that's raised without hormones and is grass fed. It's a little tougher, but worth the health benefits. Maybe I should have added that bit of information to the hub! Enjoy the recipe and thanks again or the comment, vote and share. This looks amazing!! I grew up with a mom who doesn't eat red meat so I'm lacking in a good pot roast recipe. This may just be it!! ^_^ Great tips and pictures. I just love the left-over ideas ^_^ Ok.. I'm hungry, time to go make dinner ^_^ Voted and shared!! Jackie Lynnley, I always enjoy hearing from you. Yes, seared meat is just so much tastier. The carmelized texture is hard to beat as well. Thanks so much for the vote and share. Enjoy the pot roast! That looks so good! The searing I agree with on all meats, it just gives meat a fantastic flavor rather than blah. I have got to save this, love those left over ideas too, up and sharing. Billybuc, pot roast is an all-American classic. Thanks for dropping by and enjoy the recipe! Oh how I love pot roast! Great recipe; going to try it soon.